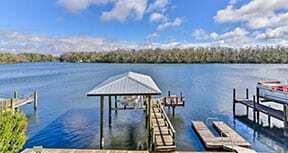 Florida offers some of the most pristine waters in the world to scallop. Florida’s Gulf Coast Big Bend area is one of the least developed coasts and hosts some of the best places to enjoy scalloping Florida in the mild coastal waters. Although the Big Bend area of Florida has a few big rivers flowing into the ocean, it also has vast tracts of water-filtering marshlands. These marshlands minimize the role of freshwater runoff. The water-filtering marshlands help scallops, which need stable levels of salinity, to thrive in the Big Bend area and makes scalloping Florida a unique experience. 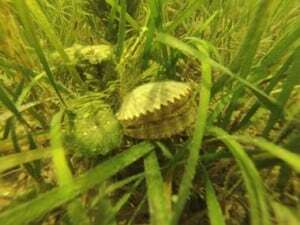 Scallops live mostly in 4-6 feet of water and while hunting them you snorkel through amazing fields of grass flats and sandy patches. You’ll see fish, crab, starfish, seahorses and many other forms of aquitic life. The grass flats are beautiful fields of underwater nature and exploring them gives you a great sense of peace. Some of the most popular destinations for scalloping in Florida’ Big Bend area are Homosassa, Crystal River, Steinhatchee/Keaton Beach, and Port St Joe/Cape San Bliss. Whether you bring your boat or hire a scalloping charter, the links below will help make the most of your adventure. You will find useful information on places to stay, scallop charters, boat ramps and additional information for scallopers each area.